DAVID LE/Staff photo. 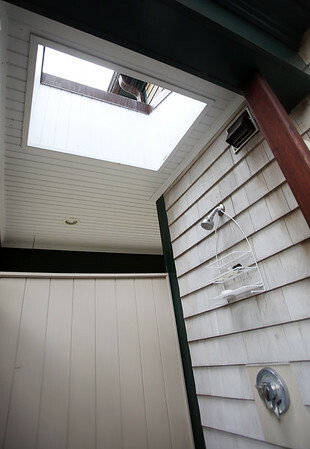 When the VanRemoortel's house was remodeled, they installed an outdoor shower, which has a skylight so Chris can see the stars at nighttime. 10/9/15.